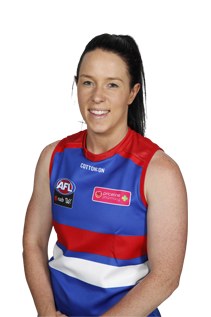 Scans have confirmed AFLW forward Brooke Lochland sustained a fractured fibula in Saturday's practice match against Collingwood at MARS Stadium. 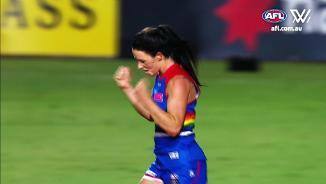 Following her record-breaking seven-goal haul in the inaugural AFL Pride game, Brooke Lochland has been crowned the Round 4 AFLW MVP of the Week. 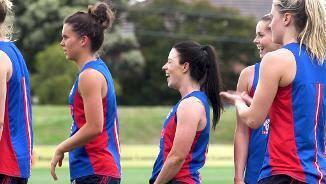 Brooke Lochland believes that the bonds between the already tight-knit AFLW group will only grow stronger in 2018. 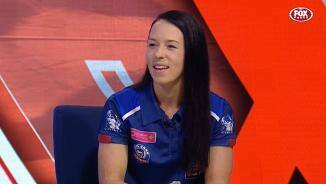 Comes to football after having pressed for selection at the 2014 Winter Olympics in ice-skating. An inside midfielder who possesses elite endurance, is fast and works hard. Small but tough in contests and is good with her hands.